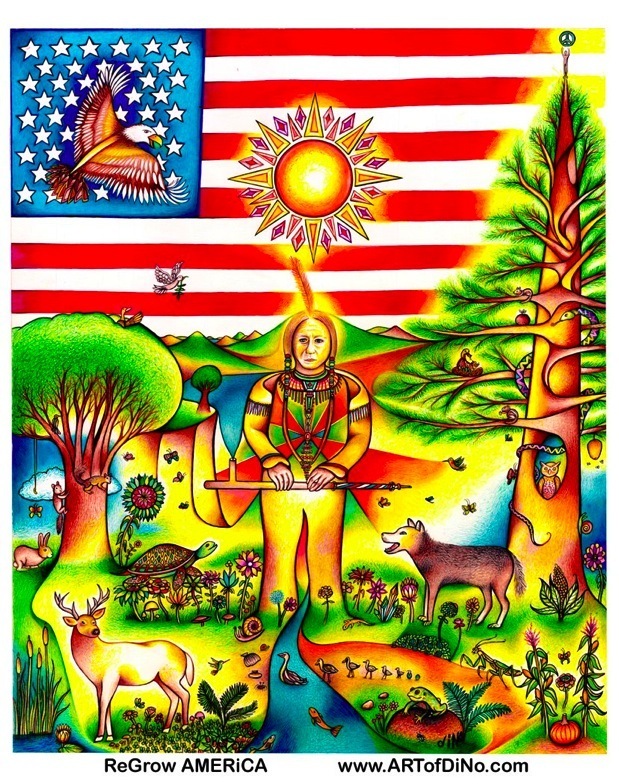 This Artwork is dedicated to the Native American People’s who stand by the Land and wish to see it protected. In order to reGROW America, Our Soil and eARTh NEEDS to become nourished again. We NEED clean water, Fresh NON-GMO organic Pesticide Free Crops, and we NEED Wild Animals to preserve the Balance. Too Many people destroy elements of the Forest under the gui$e of protecting it. The Only way to truly protect Nature is to let it exist on it’s own so that it may thrive. The same formula works for the Human Mind. Let it Roam Free and Beauty will surround EVERYTHING and Everyone, once again.